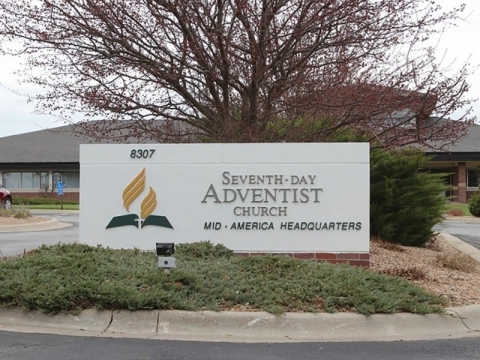 William Johnsson, former editor of the Review, recently presented to Andrews University’s Michiana Adventist Forum a paper about the recent developments in the Adventist Church regarding policy and compliance. The paper follows in its entirety. We have come to a Luther moment for Seventh-day Adventists. 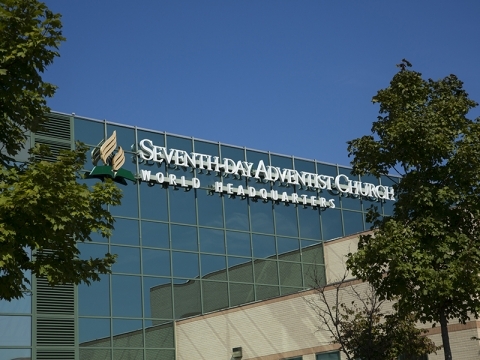 I do not say “for the SDA Church,” because the church at its highest levels is the problem. The speaking out must come at the level of the individual, the member who along with others is the church. I make that statement with great sadness and after much reflection. During the past months my thoughts increasingly have turned to the great reformer. Reluctantly, I have concluded that, while Luther’s situation and ours differ in some respects, in important ways they are bone-chillingly parallel. The nub, the heart of it all as I see things is this: In Luther’s day the need for change was so glaring as not to be denied, but the entrenched bureaucracy centered in the Papacy blocked any path to the needed reforms; a similar situation exists today. Recent actions adopted in Silver Spring run roughshod over authentic Adventism: they subvert principles and teachings that are integral to our raison d’ etre. They deny our heritage as heirs of the Reformation; they are inimical to the life and teachings of Jesus. But how to call those responsible to account? I am not aware of constitutional mechanisms to censure top leadership. When I see these things in my church, I cannot remain silent. If I do not speak out I betray my duty as a follower of Jesus and a minister of His Word. In this presentation, I shall give some attention to my personal journey, especially over the course of recent years. Kindly indulge me in this. If, as I suggest, speaking out must be first of all personal, something that begins and burns in the heart, such sharing is surely not inappropriate. But I am not alone in my distress over my beloved church. If my concerns were only mine I would be happy to dismiss them as the trepidations of aging brain cells. But they are not. I could list the names of Adventist “greats” past and present who feel as I do. All are household names, all people are respected for their integrity. Just over a week ago one of them e-mailed me, pouring out his heart. Titling his message “Dismay,” he wrote: “We have not communicated in a long while. But madness has not stopped growing. I have to confess that I have now given up on hoping and thinking that the central leadership team at the GC can be brought to turn around and think differently and to allow the Balm in Gilead to bring the much-needed healing into our church. Instead, they are tearing us apart. I think this is by design, brought on by a much-corrupted and ill-guided theology. How sad! 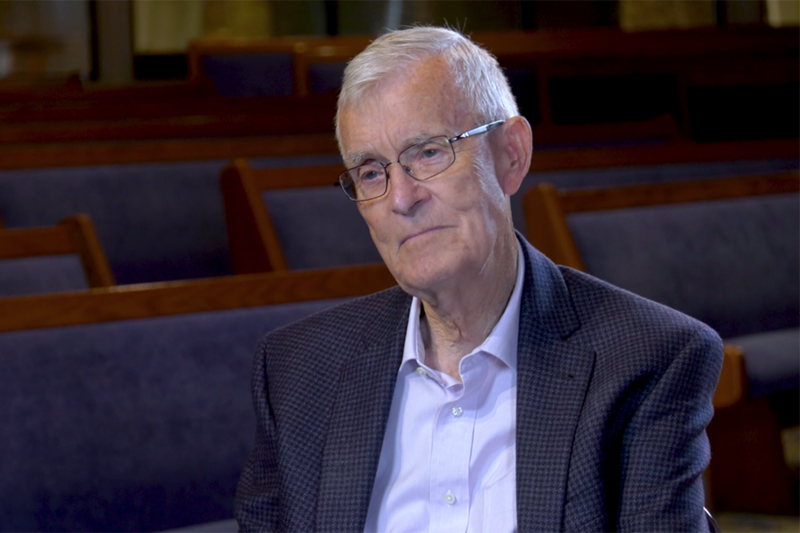 Here is a renowned leader, one who has given his whole life to building up the Seventh-day Adventist church, now in retirement dealing with profound dismay at what is happening. I have to put this question to you my friends: The Scriptures teach us to respect men and women of experience, to value the counsel that comes from white hair; how then can current GC leadership remain unheeding of the united advice from so many former leaders (as well as from others who have not retired) warning that they are pursuing a course of action fraught with the gravest peril for our precious worldwide fellowship? Luther’s comments keep running through my head: “I went [to Rome] with onions and returned with garlic.” He had to speak out—which, as in my case, meant writing out. He nailed the 95 theses to the door of the Castle church in Wittenberg; I wrote “Where Are We Headed?” (2017) and “Authentic Adventism” (2018). But I hasten to add: this is not to compare myself with Luther. This Luther moment in our movement suggests three great “C” words: conscience, courage, and confidence. The remainder of this paper will expatiate on each. “My conscience is captive to the Word of God,” declared Luther as he stood before the Diet of Worms. With this statement he repudiated the authority of the Papacy as the arbiter in issues of life and death. It was a bold statement, defiant, almost reckless. From now on Luther could be hunted down and murdered. A long chain of events had brought Luther to this momentous point. We pass over them quickly: the fearful encounter with the Holy as a young man caught in the thunderstorm; the decision to enter the priesthood; the years of striving and torture as he sought peace with an angry God; the discovery of the Gospel as he worked through the Psalms, Galatians, and Romans at the university of Wittenberg; at last the Gospel, blessed peace, freedom. For Luther, newly liberated by the Gospel, Tetzel’s perversion of Christianity was the last straw. He had to do something. Luther wrote out the 95 Theses and nailed them to the door of the castle church. I also have been traveling a road that brought me to the present point. Throughout my ministry, I endeavored by voice and pen to support and uphold the leadership of the church. As editor of the Review I refused to open its pages to negative comments, critical letters. Over the last few years my journey has become increasingly painful. It has led me to an increasing compulsion to speak out. I know most of the leaders at the GC; for many years they were my colleagues and friends. To write anything that I knew to be unwelcome to them—almost a betrayal—kept me awake through the wee hours of many nights. I should mention, however, that throughout this experience Noelene supported and encouraged me to press on. For Luther, Tetzel’s arrival was a turning point. For me, the GC session in San Antonio was a turning point. I did not attend the Session but I followed the events of the fateful Wednesday on TV. Delegates returning from the session provided first hand reports. Already, however, I was feeling extreme discomfort from what I had viewed on television. The hissing and booing directed at Dr. Jan Paulsen rocked me to the core. It was, I think, the nadir of any meeting of a people who profess to be awaiting Jesus’ return. It was not merely the shameful reaction from the floor, it was the failure of GC leadership to check the outburst and apologize for it. Other reports from the session added to my dismay: no sharing of the deliberations of the large commission appointed to study women’s ordination; no report from women ministers in China. Slowly, reluctantly, in the weeks following San Antonio I was forced to conclude that the actions of the Session, far from representing the voice of God were like a politically manipulated convention. This made me sad. Confused. Angry. For several weeks I moped around home making life miserable for my long-suffering spouse. Then the thought hit me: WRITE! I wrote not for publication, just for myself. The writing was a catharsis. That initial piece in time became the opening chapter of a book, Where Are We Headed? Now I had a manuscript but I hesitated to let it go out. I shared it in confidence with three trusted friends. They encouraged me to go forward but one warned: publication could result in my being shunned by the Brethren. The next question: who would publish the manuscript? The Pacific Press asked to see it. They responded that the church needs this book but we cannot publish it. Then—seemingly miraculous timing. The Pacific Union was contemplating establishing their own publishing arm in order to supply materials geared to the needs of workers in their field. They were looking for a manuscript as their first publication; I was seeking a publisher. Where Are We Headed?, marketed through Amazon.com, went viral. Now published in four languages, it led to a rash of speaking requests. I still feel stunned by the reaction to the book. The timing was right; the book gave voice to what pastors and thinking lay people were thinking but afraid to express. My beef with current GC leadership is a moral one. As I see it, the whole issue of women’s ordination boils down to a single stark issue—justice. The Adventist church discriminates against ministers who happen to be women. This basic fact is often obscured by a thick cloud of theological argumentation. I first became aware of the dynamic many years ago when I found myself appointed to a commission appointed to study—guess what!—women’s ordination. One day I ventured the idea that the issue was not merely one for theology, it had a moral component. I must have expressed my conviction forcibly because my speech offended some of the leading brethren. They brought it up next morning at steering committee. I was ignorant of this development until the full commission convened for the day. Elder Neal C. Wilson, GC president and commission chair, introduced it as the first item of discussion. He mentioned that certain unnamed leaders had taken offence at my remarks and he wanted to know if I had anything to add. Whether these leaders expected an apology, I do not know. Whatever, I did not back down: I simply stated that I had spoken my convictions, but perhaps more strongly than I should have. I did not intend to single out any individual. Apparently I said enough to satisfy Wilson because he quickly moved on. This incident has stayed fresh in memory. As I have reflected upon it my convictions expressed that day have grown stronger. How often have I seen and still see theology introduced as a smoke screen to obscure morality. Perhaps we Adventists are especially prone to fall into this fault because of our preoccupation with theology. It’s an old, old trap. As old as Israel’s religion. As old as religion itself. The Hebrew prophets thundered against it; as did Jesus, the greatest of them. Is this a message for Adventists today? Today, our church has adopted positions that are blatantly discriminatory. We have in place a two-tier system for the clergy: ordination for males and commissioning for women. The distinction between ordination and commissioning is artificial and has no Biblical support, nevertheless by making this distinction, women are denied the ability to occupy administrative posts. They encounter a glass ceiling that limits election to ordained clergy. The incongruity of the church’s present situation emerges in stark relief in the Southeastern California Conference, the largest conference in the division. The current president was elected at a duly-called constituency meeting. Delegates selected the conference secretary, Dr. Roberts. 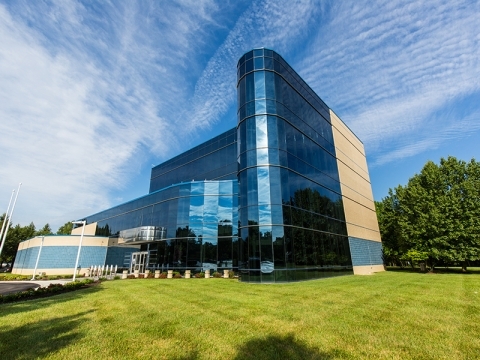 Under the new leadership the conferences has experienced growth and financial strength. But the SDA Yearbook in listing the officers of this conference shows a blank instead of Dr. Roberts name. When Dr. Roberts attends Annual Council there is no official badge, no seat at the table. How can it be? Doctor Roberts is Dr. Sandra Roberts. Yes, my friends. A Luther moment. A moment fraught with matters of the heart. A moment when issues emerge out of the mists of theological argument in sharp outline. A moment for CONSCIENCE to rule our decisions and actions. Authentic Adventism values conscience above policy. It respects policy but refuses to make policy the last word in issues of justice. This is the time for every Adventist of conscience to speak out. What form that speaking should take is something that each of us, impressed and impelled by the Spirit must decide. Speaking out will be a courageous act, just as it was in Luther’s day. And this is a Luther moment. I have been encouraged to see that speaking out demonstrated here at Andrews University. Several Seminary professors wrote the GC requesting that their ministerial credentials be changed to the same as those given to women ministers. I applaud this brave act. In addition the Seminary has published material strongly supporting the ordination of women pastors and exposing the fallacies of headship theology. We have come to strange times indeed for the Adventist church. These times call us to stand up and be counted. That is our proud heritage. Leaders at the General Conference seem fixated on denying ordination to women in ministry. They seem ready to split the church asunder. The matter has morphed from the original issue of women in ministry to power contest: leaders seem set on bringing the disobedient unions to heel. The most recent manifestation of their fixation is the development of a complicated system designed to punish the non-compliant unions. Large amounts of tithe money and time have been poured into this effort to keep women below the glass ceiling. I deplore this squandering of sacred resources. I am shocked at the diversion from the mission the Lord has given to us. Is this the church of James and Ellen White, of J. N. Andrews, of A. T. Jones, champion of religious liberty? It is not. The ideas emanating from the GC are alien to our past history, to the Reformation, to the life and teachings of Jesus. No value is more core to Adventism’s raison d’ etre than religious liberty. It is the foundation of our doctrinal framework. This precious idea, however, is denied by current proposals that place policy above conscience. They would punish union presidents for obeying their conscience! Time to speak out? You’d better believe it. Along with conscience and courage, we need the third C—confidence. Confidence, not in our own strength and wisdom. Confidence in the One who is Lord of the Church, who has not forsaken her and who will never forsake her, who will bring us through this awful time. The SDA church will survive but in what form I cannot predict. I foresee stormy sailing ahead, but we can rest assured that Jesus will bring us safe into His harbor.